Monday, May 6, 7 pm! In her new work of nonfiction, Nanaville: Adventures in Grandparenting (available April 23), Anna Quindlen explores the role of being a first-time grandmother, no longer mother and decision-maker but secondary character and support to her son and daughter-in-law, while reflecting on the different maternal roles we play throughout our lives. This is Anna at her best on family, female relationships, and being a parent/sister/friend/mother-in-law written with wisdom, humor and wit. Quindlen will be joined in conversation by Bridget Quinn-Carey, chief executive officer of Hartford Public Library. Tickets are $30 and include a copy of Nanaville. Get tickets here. Monday, April 23, 7 pm! Mark Twain is one of our nation's defining cultural figures. 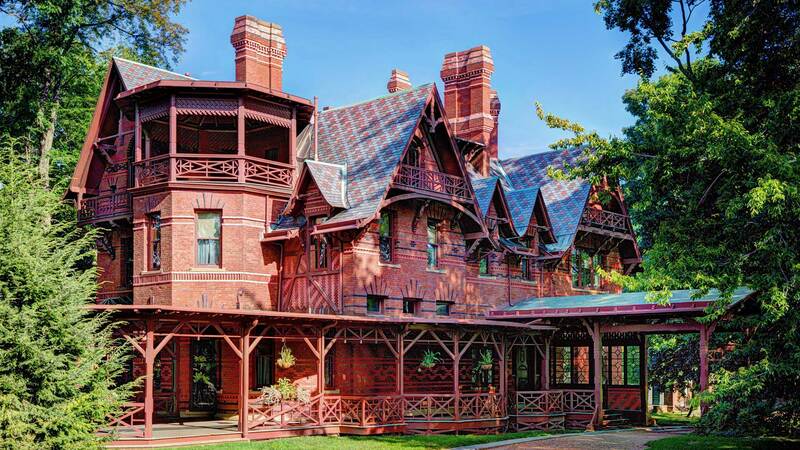 The Mark Twain House & Museum has restored the author’s Hartford, Connecticut, home, where the author and his family lived from 1874 to 1891. Twain wrote his most important works during the years he lived there, including Adventures of Huckleberry Finn, The Adventures of Tom Sawyer, and A Connecticut Yankee in King Arthur’s Court. In addition to providing tours of Twain’s restored home, a National Historic Landmark, the institution offers activities and educational programs that illuminate Twain’s literary legacy and provide information about his life and times.